When I turned ten I was allowed to stay up until 9.30pm on School days. Not that there was much to amuse you during those early days of the Eighties. We only had three (THREE!) 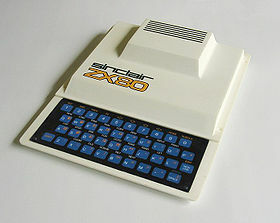 TV Channels to choose from, the Sinclair ZX80 with its 1KB of processing power and its £99.95 (£319 in today’s money) price tag was the gadget to dream of whilst we played Atari Pong, and Pink Floyd’s Another Brick in the Wall was the song on everyone’s radio…still. Thank God my brothers were unimaginative in hiding their copies of Razzle and Whitehouse under their mattress otherwise those long winter nights would have just dragged by. Football on TV was restricted to Match of the Day on Saturday and The Big Match on Sunday tea time. Occasionally, we were also treated to extended highlights on Sportsnight, presented by Harry Carpenter, during the week if there was an England game on or some FA Cup replays. Back then the football authorities were sensible. None of this “we need 10 days to sort out replay days” malarkey. It was as simple as “if we draw on Saturday, we replay on Tuesday”…and if that one is a draw then we will toss a coin to determine where the 2nd replay will be two days later (or on some instances the 3rd and 4th replays). In the 1979/80 season a little team from Essex surprised the footballing world by making it through to FA Cup First round. 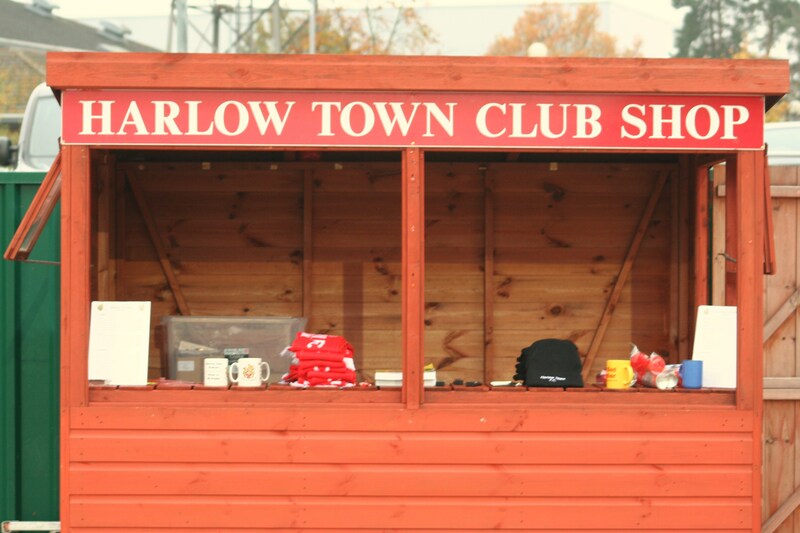 Harlow Town were celebrating their centenary and this was the furthest they had ever got in the cup. They were playing in the Isthmian Premier League at the time and hoped to draw a big league club such as Blackburn Rovers, Sheffield Wednesday or Portsmouth who all languished in Division Three and Four at the time. Instead they drew local rivals Leytonstone & Ilford FC – hardly the reward they were looking for. But after beating them they got a plum draw against Southend United who were dispatched 1-0 in a replay in front of 5,000 fans at Harlow’s Sports Centre (trivia fact: The Sports Centre was in fact the first sports centre to open in the UK back in 1960). With all ears pressed to the radio for the Third Round draw in early December, the club were drawn away at Leicester City. Ah Leicester City. Filbert Street, Keith Waller and his white tights and a young Gary Lineker. A very young Gary Lineker. Full of goalscoring promise long before the biggest crisp brand in England was Golden Wonder, and Walkers were simply a brand of Zimmer frame. Saturday 5th January 1980 was the date for the 3rd Round tie, just 24 hours before my tenth birthday. I was expecting a brand new Raleigh Grifter but for an early treat I was taken to watch West Ham play West Bromwich Albion in the FA Cup. However the talk of the North Bank that afternoon was “plucky old Harlow” who had nicked a last minute equaliser at Filbert Street. So three nights later the Second Division big boys (who would later go on to win the league) came down the M1 and across the A404 to Harlow. Nearly 10,000 fans crammed in the stadium to be joined by BBC World Service and the Sportsnight cameras. This was the biggest football match of the season and I was allowed to stay up to watch. On a quagmire of a pitch John McKenzie’s goal was enough to send the non league side into the record books. Of course they lost in the next round in an anti-climax but they will always be spoken about in the same breath as Hereford United, Leatherhead, Blyth Spartans and Woking as great non league teams in the FA Cup (I have of course omitted Crawley Town for sporting reasons from this list). The following thirty years have been your typical story of non league struggles. Promotions, relegations, financial woes and ground relocations. Today Harlow Town would say, to coin a Partridge-ism, have “bounced back”. 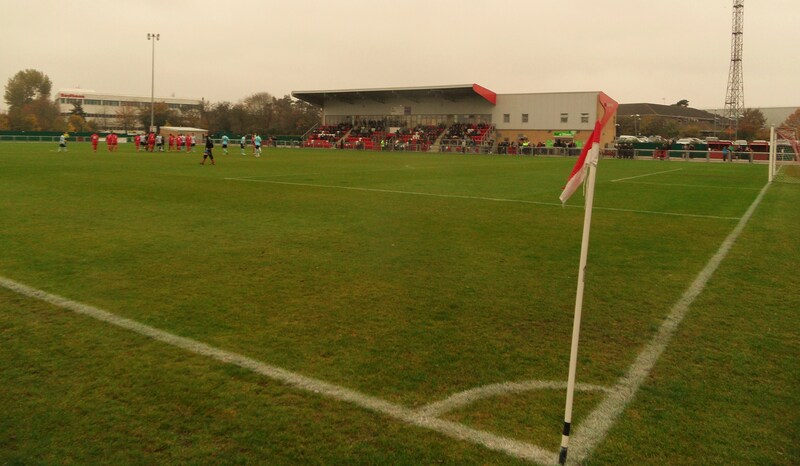 They play in a smart newish stadium, Barrows Farm, which is one of the best you will find at this level. Another fact that Alan Partridge would not be happy about is the pedestrianisation of Harlow town centre, which was the first of its kind in England as part of the whole New Town development idea. So why were we here on Bonfire Night? Well it’s the magic of the Cup (part 8) of course. 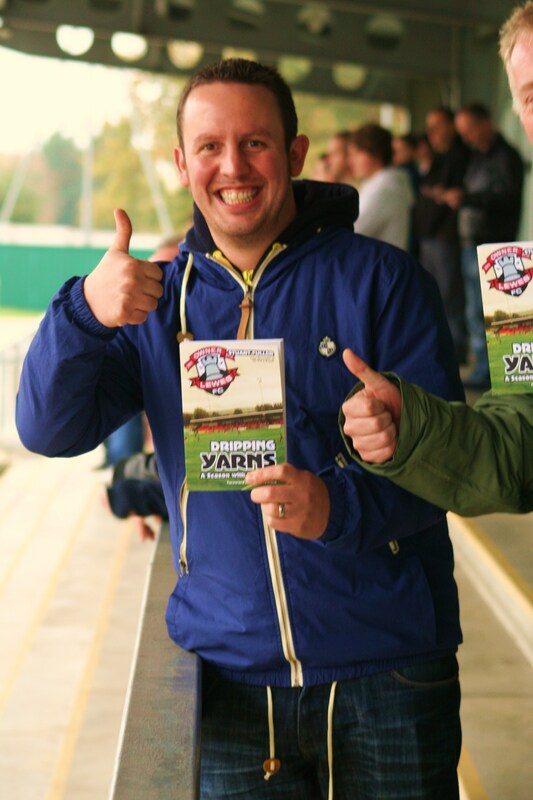 Lewes had overcome Cray Wanderers in the last round and were pleased to be drawn away. Few clubs would say that but with the annual Bonfire celebrations in Lewes essentially closing it off to the outside world for the day, playing a football match would have been very difficult. They love their bonfires down in Lewes, mark my word and outsiders aren’t always welcome. So the travelling Rooks fans were characterised by essentially being those who didn’t live in Lewes, and thus had no real interest in setting fire to a few bits of wood and an effigy of a man with a pointy beard. And that mean no James Boyes behind the lens. So I was going to have to combine my duties as chauffeur to the Lewes Lunatic Fringe, with being the ambassador for the club in the board room as well as getting my long lens out. Confused? Yep, I was. Oh, and taxi driver for the Lewes Lunatic Fringe. The FA Trophy was just one of three trophies the Rooks were still in with a shout at, although only two clubs from outside the Conference Premier had won the competition in the past twenty five years. Even so, the prize money at stake could make a huge difference to a team who is able to go on a bit of a run (£3,000 for the winners of this tie plus 50% of the gate is essentially a week’s operating revenue for most teams). We were under orders to bring the cash back in used £20’s in a brown envelope should we be successful. Harlow Town 3 Lewes 2 – Barrows Farm – Saturday 5th November 2011 The road to Wembley has officially been closed for this season. After the capitulation to Chertsey Town in the FA Cup back in September, the Rooks crashed out of the FA Trophy to another lower league team who simply wanted it more than they did. It is also worrying that for the second Saturday in a row they conceded two penalties in the second half of the game. Steve King was able to field a stronger squad today, with Jamie Cade making a welcome return to the bench after some weeks absent through injury. However, it was Michael Malcolm who missed out today, with Booth and Mini-Booth (aka Draycott) leading the line. For once we played away from home with some decent noise from the crowd. 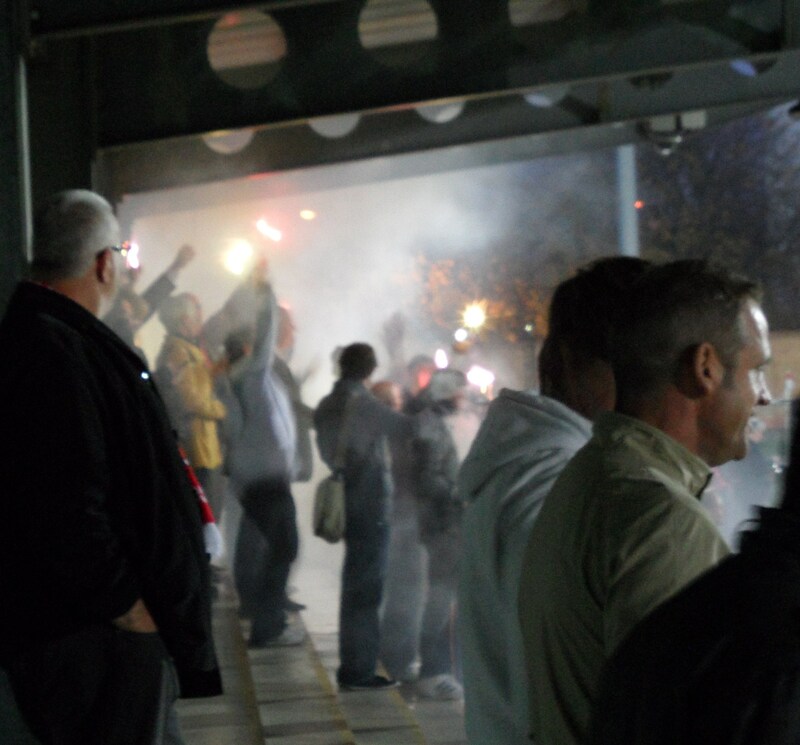 We remember the great support Harlow brought to Lewes last season in the FA Cup and at home it was double that. Constant singing, friendly abuse of our players and encouragement of their own side, including a classic “We’ve gone Continental, we’ve gone Continental” as they all lit sparklers. However, after an open half an hour it was Lewes who took the lead when Draycott bounced on a well saved header by keeper Bossu to drill the ball home. Against the run of play maybe, but a goal is a goal. For some strange reason as the clock got to 3:55pm we were still playing the first half. There hadn’t been an injury, and whilst we had a minute’s applause pre-match for the commemoration of a local fan’s death/life, it was only a minute. It wasn’t the only bizarre decision from the official during the afternoon as we would soon see. After a welcome cup of tea and a Nice (or is it Nice?) biscuit in the boardroom I just got out in time to see Draycott fire in a magnificent second from the edge of the area. Two nil flattered Lewes and so it was no surprise when thirty seconds later the home side got a penalty. Apparently the official had seen skipper Steve Robinson handle the ball, although few else in the ground had and Danny Brown smashed the ball home. Now it was the turn of Lewes to be on the back foot. Harlow had a goal disallowed before another soft penalty was awarded, this time by the linesman for a push-come-shuv in the area by Hamilton, and yet again Brown dispatched the penalty into the back of the net. With Sussex Senior and Ryman League Cup games coming up in the next few weeks Lewes could’ve really done without another replay but the dozen or so Rooks fans expected our side to go on to try to win the game. Instead the midfield pairing of Nicholas and Somner were simply over run by Harlow and with just ten minutes to go James Bunn found himself one on one with the Lewes keeper and finished with style. Bugger – two-nil up, three-two down. With full time whistles gone all the way up and down the country, and James Alexander Gordon already through the first reading of the results, we were still playing. Ciardini had hit the bar in the second half but apart from that we couldn’t think of one other chance we had mustered. The Harlow celebrations at the final whistle were well deserved. They had beaten a team from a higher division and where £3,000 better off. For us it was time to leave the quest for silverware for another season. Our trip back to SE25 took us two hours, which wasn’t painful enough so we put on Stan Collymore, “urging” us to call him and tell him about the game. Even Stan wouldn’t have wanted to hear about this one. More pictures from the afternoon can be found here.